Littlegig festival is a 24-hour showcase of musicians, DJ’s, chefs, winemakers, artists, designers, speakers and performers. 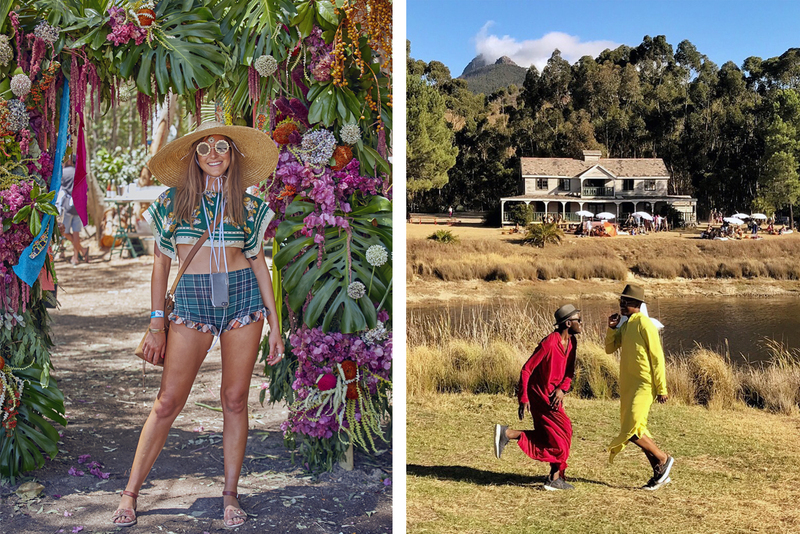 The event takes place in a forest 40 minutes outside Cape Town on 17-18 February 2018. 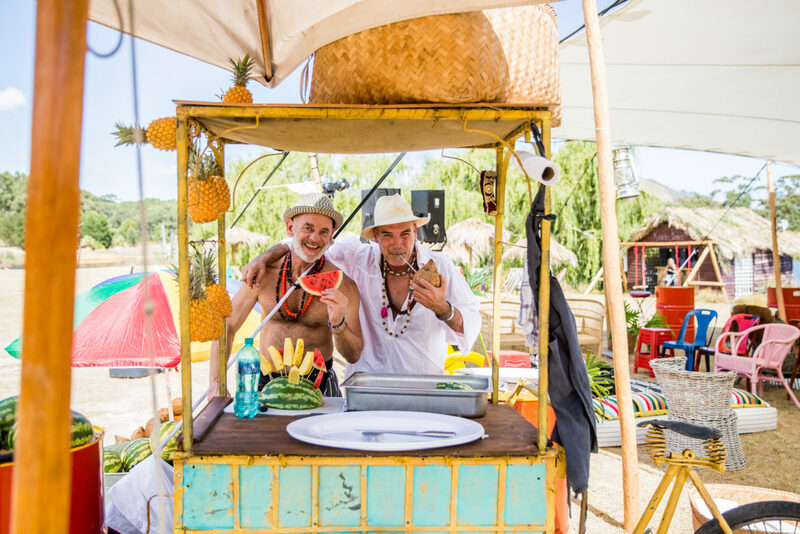 Tickets, which are limited, start at R2,150 and include all food and drink. Festival Tickets are sold out. 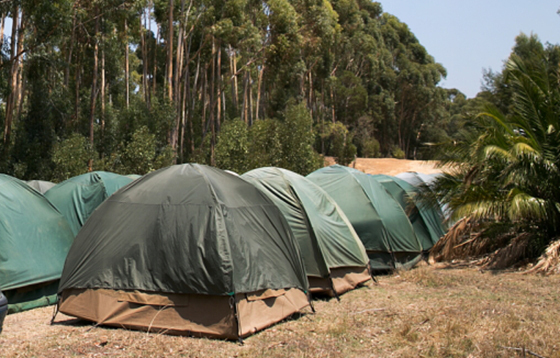 Basic Camping tents are now off sale. To locate Festival Tickets please try our reseller programme on Ticketpony. Tickets include all food and drink but exclude accommodation. BUY 7 TICKETS AND GET THE 8TH TICKET FREE. TOTAL R16,000. INCLUDES ALL FOOD AND DRINK, NOT ACCOMMODATION. BUY 3 BASIC CAMPING TENTS AND GET THE 4TH TENT FREE (25% DISCOUNT). 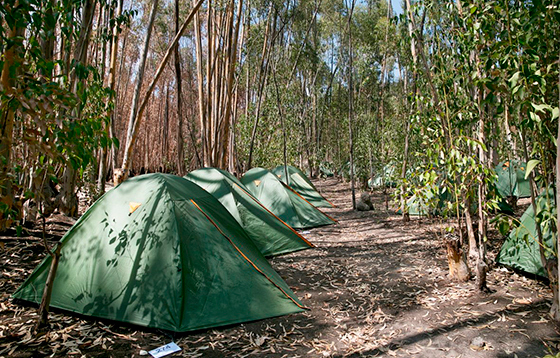 THE PITCHED 2 MAN TENTS HAVE TWO INFLATABLE MATTRESSES INSIDE, AND WILL BE GROUPED TOGETHER. 1 pitched tent with 2 inflated mattresses. 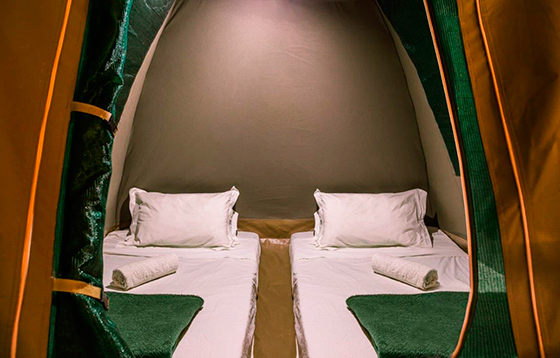 Enter a camp name when you book your tickets, and we’ll group you in the same ‘pod’ as other Basic Camping tents with your camp name. Bring your own bedding. 1 pitched canvas dome tent with 2 single good-quality foam mattresses. Bring your own bedding. 1 pitched canvas dome tent under a stretch tent, with 2 single good-quality foam mattresses, pillows, linen, towels and a light. Note that you will be one of 3 dome tents under a shared stretch tent. 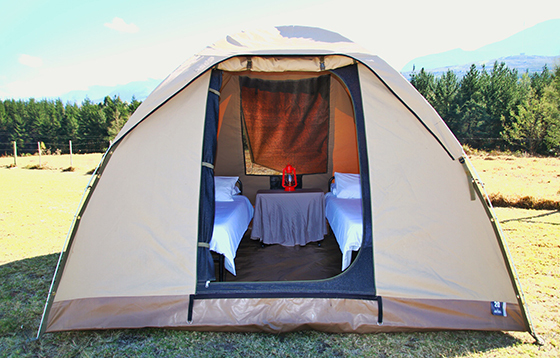 2 canvas stand-up tents under a stretch tent, each with 2 single good-quality foam mattresses, pillows, linen, towels and a light. 3 canvas stand-up tents under a stretch tent, each with 2 single good-quality foam mattresses, pillows, linen, towels and a light. 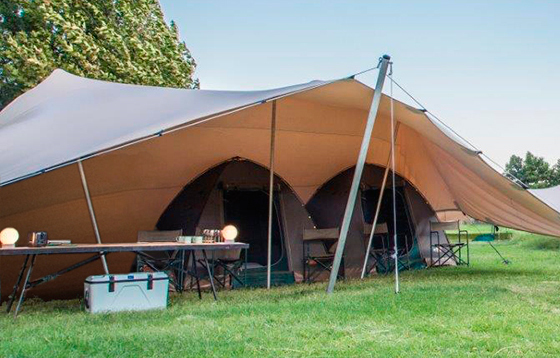 1 pitched dome tent, bigger than the Safari Glamping tent with 2 steel-frame single beds, pillows, linen, towels, carpet, bedside table and a lamp. Please note that all beds will be pushed together unless otherwise requested. 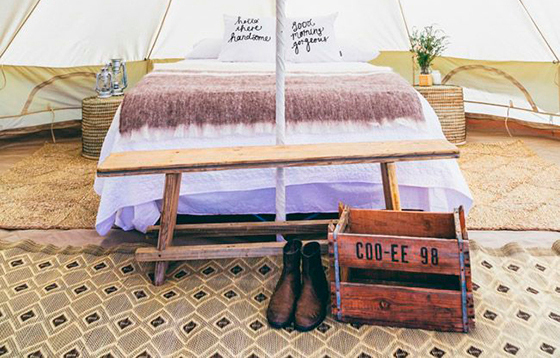 1 large white cotton canvas bell tent with two single wooden beds and comfortable mattresses, 100% cotton linen, bedside table with lamp, carpet and chairs. 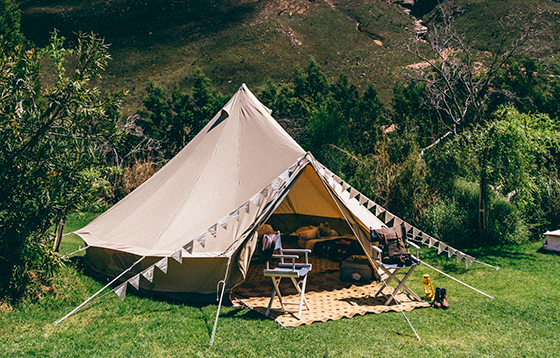 1 large white cotton canvas bell tent with double camping bed, comfortable double mattress, 100% cotton linen, bedside tables with lamp, carpets and chairs. Have your own portaloo set up behind your tent. Combination lock provided. Glamping options only. We have introduced self-camping. Bring and pitch your own tent at no additional charge. Limited availability. 1 pass required per person. Select at Quicket Checkout. There are a number of accommodation options in Klapmuts (5 mins), Paarl (15 mins) and Stellenbosch (15 mins). There will be a taxi rank located at the festival with transport available at all times. The Littlegig experience is not about big headline acts that we rely on to draw crowds… it’s about a diverse collection of relevant musicians and DJs that move us in the environments we’ve created for them. There are no stages in the traditional sense, but 6 music areas that pop up and close as the festival journey progresses. Never before have festival-goers been so well fed. Apart from open-til-late stations serving just that thing you feel like, this year there are 2 additional foodie experiences. There’s a Chef’s Table by a Top 10 chef, and an all-star female line-up Paired Food and Wine Tasting by 3 chef-restaurateurs and 3 winemakers. As you’d expect from us, there’s also a string of pop-up bars in fantastical locations. No under-21’s. ALL-STAR FEMALE LINEUP OF 3 CHEF-RESTAURATEURS AND 3 WINEMAKERS. A 30-MINUTE WALK-THROUGH EXPERIENCE OF 6 TASTING DISHES AND 6 WINES. ARRIVE ANYTIME BETWEEN 1 AND 4PM. PRE-BOOKINGS ONLY. R150 PER HEAD. We are a creatively-led festival with dressing up and self-expression at our heart. The festival fashion concept store is a curated collection of one-offs by South African designers. It shares a forest space with the free festival hair and makeup salon, where Krone bubbles flow. Littlegig is a visually directional feast, designed to let festival-goers let go. There’s a 6-meter giant artwork, a deep sleep tent, roaming magic shows and contemporary dance. Plus each area is designed and executed by a top stylist…a festival world first. Littlegig is held on Wiesenhof farm in the Simonsberg mountains in Stellenbosch, 40 minutes’ drive from Cape Town. TAKE THE N1 TOWARDS PAARL. TAKE EXIT 47: KLAPMUTS, STELLENBOSCH R44 OFFRAMP. AT THE STOP STREET TURN RIGHT (UNDERNEATH THE N1). GO OVER THE NEXT 4WAY STOP (BP GARAGE ON YOUR RIGHT) AND CONTINUE STRAIGHT FOR 3.5KM UNTIL YOU REACH WIESENHOF ON YOUR LEFT. TAKE THE ONRAMP ONTO N2 EAST (SOMERSET WEST). TAKE THE NEXT MAJOR OFFRAMP OFF THE N2 – THE R300. TURN LEFT AND HEAD FOR BELVILLE. STAY ON THIS ROAD ALL THE WAY TO THE N1 ONRAMP. VEER RIGHT TOWARDS PAARL. THEN TAKE EXIT 47 AND PROCEED AS PER DIRECTIONS ABOVE. WHAT3WORDS GIVES EVERY 3M X 3M IN THE WORLD A UNIQUE 3 WORD ADDRESS. THIS ONE DESCRIBES THE PRECISE ENTRANCE POINT OF THE FESTIVAL. CLICK HERE TO LEARN MORE.